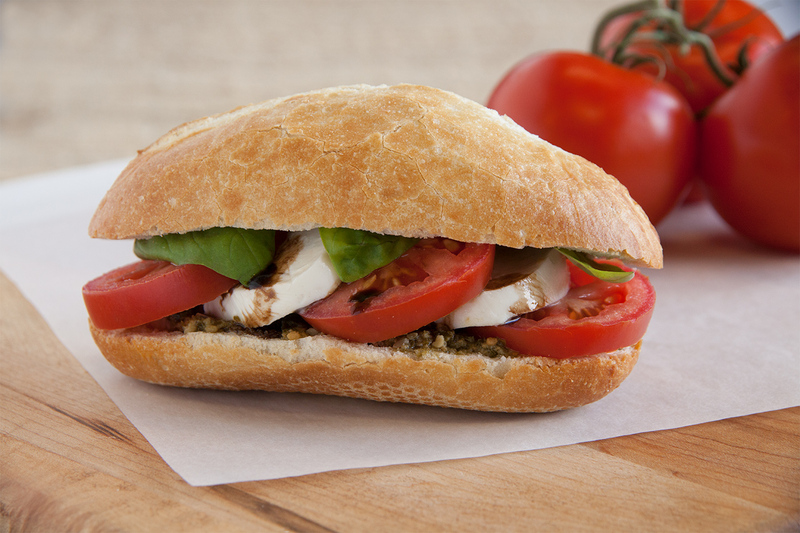 This delicious sandwich filled with fresh ingredients is perfect for warm summer days. Cut baguette in half lengthwise. Spread pesto over bottom half of baguette. Top with tomato slices, mozzarella slices and basil. Drizzle with balsamic vinegar. Cover with baguette top.